Neutrinoless double-beta decay is forbidden in the Standard Model of electroweak and strong interaction but allowed in most Grand Unified Theories (GUTs). Only if the neutrino is a Majorana particle (identical with its antiparticle) and if it has a mass is neutrinoless double-beta decay allowed. Apart from one claim that the neutrinoless double-beta decay in 76Ge is measured, one has only upper limits for this transition probability. But even the upper limits allow one to give upper limits for the electron Majorana neutrino mass and upper limits for parameters of GUTs and the minimal R-parity-violating supersymmetric model. One further can give lower limits for the vector boson mediating mainly the right-handed weak interaction and the heavy mainly right-handed Majorana neutrino in left-right symmetric GUTs. For that, one has to assume that the specific mechanism is the leading one for neutrinoless double-beta decay and one has to be able to calculate reliably the corresponding nuclear matrix elements. 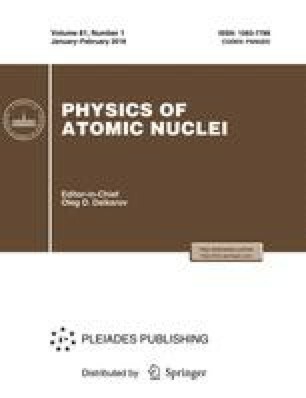 In the present work, one discusses the accuracy of the present status of calculating of the nuclear matrix elements and the corresponding limits of GUTs and supersymmetric parameters.